Are translations a constant pain point for your team? Maybe you’re dissatisfied with your current vendor, but you’re afraid of all the headaches that go with onboarding a new one? You deserve a translation vendor who exceeds your expectations. Read our recommendations to prepare yourself for a smooth transition. Get the translation vendor you deserve: Download the brief! Translation is expensive. Translation is time-consuming. So how can you cut costs and reduce your translation timelines? We’ve put together our top ten stumbling blocks in translation to help. Because a few simple fixes can have dramatic long-term benefits. Make your documentation more “translatable”: Download the brief! Idem will be at RAPS 2016. How about you? 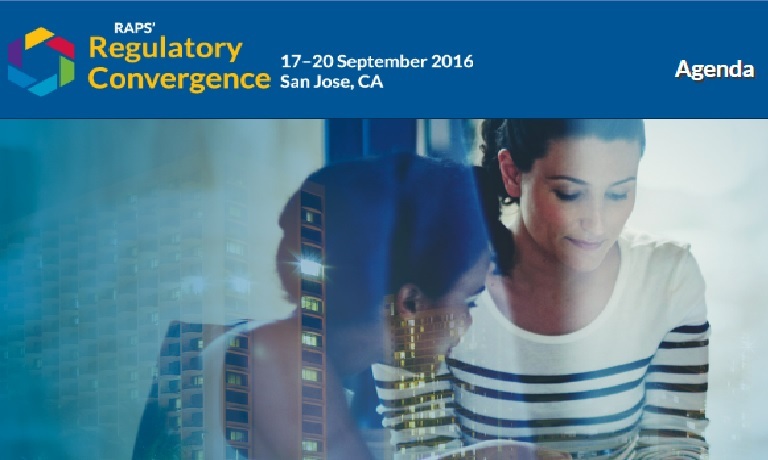 Idem will be exhibiting at RAPS Convergence in Santa Clara, California, September 17-20. You won’t want to miss this year’s fantastic lineup. If you’re interested in sessions that address updates to regulations and guidance around the globe, this is a perfect opportunity to stop by and speak to us about your future translation needs. Let’s put our heads together at RAPS and see how we can make translations the easiest part of your job! Schedule a meeting with us today. We’re giving away a Fitbit, so stop by for your chance to win. See you there! Your next device or therapy will be available for commercial use in markets outside the U.S. and you have been tasked with finding someone to translate the Instructions for Use. You know you need a professional translator whose work will pass regulatory requirements, so you do a little research online and find a vendor with a decent website and respectable client roster. Great! Before you call, prepare yourself to provide key information that your new translation vendor will need. Do you know which languages you’ll be translating into? You may only want to translate one or two foreign languages at initial launch, but have you considered subsequent version releases that will include more languages? This is important, because it will help you determine the size and format your IFU should be. Foreign languages expand with translation – a standard rule of thumb is about 30%. Your printer can help design the appropriate format, such as map fold or booklet, and provide specifications. Make sure the source file and specifications are available to the translation vendor at the onset of the project; a pdf is a good reference document, yet it won’t help with multilingual translation and lay out. It may seem counterintuitive to include your printer in translation issues and yet they go hand in hand. By planning a few key elements before actual translation takes place, you can save time and money. Translation versus Localization – What’s the Difference? If you’re new to translations, you may hear the term localization bandied about. Perhaps you’ve called a translation services provider and explained your project needs, and they launch into a description of the ways in which they’ll localize your files. You’re a clinician. References to translation and localization have wholly different meanings in your world. So, what’s the difference? Simply stated, translation is the process of changing words from one language to another. If you need a document translated from English to German, that’s known as translation. Localization is more like cultural adaptation. Beyond the primary meaning, localization also addresses norms and style that are familiar to the local population. Date formats are a classic example because they can be a major source of confusion between Americans and other nationalities: at best they are a headache, at worst they introduce patient risk, especially with respect to software localization on medical devices and applications. Other terms include internationalization, which refers to the upstream process of planning to ensure content can be translated or localized without disrupting functionality. All of these activities can be couched within a larger framework known as globalization, which represents the way that people, company, and governments interact around the globe. If you’d like to learn more, contact Idem today for a free consultation. We’d be happy to help! Dear Idem: What do we do if the user interface on our medical device isn’t translated? We plan to translate the user interface for our device, but we aren’t ready to tackle this in the immediate future. We have an opportunity in another market outside the U.S. right now, and although the UI isn’t translated, we will translate the instructions for use. Will this pass muster with the notified body? Do you have recommendations for how to handle? Translating software strings can be a complex process, especially if the software wasn’t developed with translation in mind (but that’s a separate topic for another time). It’s a good sign, though, that Engineering is thinking long-term about non-English users. For compliance in your immediate plans, it’s critical that all actionable instructions are clear and easy to follow in the IFU, even if the user is operating with an English screen they cannot read. There are several ways you can tackle this problem. In the screenshots you replicate in the IFU, you can use indicators such as arrows, callouts, or different colors to draw the user’s attention to actionable elements, so long as they don’t detract from overall usability. Too many arrows cluttering the instructions could confuse the user, so use them sparingly. Tap and hold the ‘Open’ button. Appuyer et maintenir le bouton ‘Open’ (Ouvrir). You might also a reference table for on-screen text. This table would contain terms used in the English GUI in one column and the translated terms in the column directly beside it. Most importantly, though, talk to your translation provider to create a strategy that will work for your specific software and the content of your IFU. They’ll be happy to help you optimize. Contact us – we’ll step you through the process! Translate your content using specialist medical linguists. Below is a quick overview of Idem’s services for companies in the medical device and pharmaceutical industries. We offer comprehensive translation services, including back translation, reconciliation, linguistic review, quality assurance, DTP and more. Crowdfunding has become a household word among technology companies, and is now making its way to the forefront of the medical device industry. Sites like Kickstarter and Indiegogo are seeing a rise among would-be investors getting in on the ground floor of these ventures, with the promise of blockbuster returns. Certain sites are targeted specifically to the medical device developer community; examples such as Crowdacure aim exclusively on medical device development. The reasons for this burgeoning activity are essentially the same as what one might find in technology: investor appetite for early-stage development is on the wane since so many of them would prefer to invest in ventures whose devices are closer to market release. This, coupled by the FDA’s perceived inability to move devices more rapidly through regulatory channels results in device manufacturers’ willingness to seek approval with offshore regulatory bodies (particularly the EU). What’s more, researchers and early-stage device manufacturers are trying to rein in costs so as to make their technologies affordable for everyone. Quite often, it’s the only way for companies to fund research and development for non-traditional diseases or conditions that aren’t a target for regular funding pathways, either because the population affected isn’t large enough or vocal enough. The funding path from unorthodox sources like the ones described is, of course, fraught with risk. A multitude of eager investors may hedge their bets on therapies that will never see the light of day or receive FDA clearance, and there’s no specific language to date that addresses the legal implications of such a practice. Certainly the FDA is in no hurry to make a ruling on how products are financed, limiting its reach to issues that might pose a threat to public safety. It’s easy to see the attraction for the medical device startups to go this route, and it could be a faster, more economical method for getting much needed therapies out to the public sooner and more affordably. What are your thoughts about this practice? Are you currently involved in or thinking about a crowdfunded approach to funding your medical device development? As companies increasingly communicate with stakeholders around the globe, the idiosyncrasies of our languages become an everyday concern. Tagalog, spoken by 2% of the California population and with 100 million speakers worldwide, is an interesting case. Native to the Philippines, the Tagalog language has been heavily influenced by both Spanish and English as a result of colonial occupation by Spain and the United States from the 16th to the 20th centuries. A few years ago, a translation agency invited me to participate in the Tagalog translation of a survey. Tagalog was to be one of twelve different languages for the final survey and the completed translations were sent to a Tagalog focus group for review. The comments from the focus group were sent back to me and I updated the translation accordingly. This version was sent to a second focus group…and I received a second round of suggested changes. Each time I made cosmetic changes, the translation was sent on to yet another focus group who, without fail, would return a new set of comments for further editing. Finally, long after the other eleven languages were complete, the translation agency called to say that they were putting a stop to the Tagalog edits, which had become far too costly and time-consuming for the end client. We never got to a version that all Tagalog speakers could agree upon. There are always issues like this with any Tagalog translation because Tagalog doesn’t quite have codified rules of grammar that Tagalog speakers can agree on. The language is spoken in so many different provinces, each one with its own distinct regionalisms, making it virtually impossible to standardize a single set of grammatical norms. Language elasticity is a uniquely cultural phenomenon in the Philippines. Ever since the US Census Bureau added “language spoken at home” as a checkbox item on its census reports, there has been an increasing trend to translate words and concepts into Tagalog. The truth is that 99.9% of the Tagalog-speaking population does not speak or read pure Tagalog, rather a mixture of Tagalog and English. Taglish, a mix of Tagalog and English, better reflects the everyday language that we speak and write. Kung totoo ito, lumilitaw na binabastos ang Republic Act 10643 na nag-uutos lagyan ng graphic health warnings ang mga kaha ng sigarilyo. Pinirmahan ang RA 10643 noong nakaraang taon ni President Noynoy Aquino. Kabilang sa mga ipi-print sa mga kaha ay ang mga retrato ng sakit na nakukuha sa paninigarilyo gaya ng cancer sa baga, lalamunan, bibig, pisngi, dila at ang sakit na emphysema, katarata at sakit sa puso. Bukod sa mga retrato ng sakit, obligado rin ang mga cigarette companies na ilagay ang mga mensahe na nagpapaalala na masama sa kalusugan ang paninigarilyo. Sa kasalukuyan, maliit na mensahe lamang ang nakalagay sa bawat kaha ng sigarilyo na halos hindi mabasa. Layunin ng paglalagay ng mga retrato ng sakit sa mga kaha na mapigilan ang mga naninigarilyo at mga nagbabalak pa lamang. Inaasahang marami ang magdadalawang-isip na manigarilyo kapag nakita ang mga retrato ng sakit. Other curiosities exist in our language. Colors like green and blue are left untranslated, which is deliberate, as Filipinos would normally say those in English. The Spanish language has given us many loan words such as retrato for “photo,” whereas the direct Tagalog word is spelled as litrato. Words like mesa, kandila, puerta, puede, and others exist in everyday use, because the Spaniards were in the Philippines for 400 years and left their mark on the language. The world is getting smaller. In Tagalog, a mere sentence bears witness to the movement of peoples over the past 500 years, from the base Filipino language through Spanish rule and American control. You know your translation provider is doing a great job. But how can you demonstrate quality compliance to your regulatory auditor? By preparing to answer her questions before the audit, of course! Let us share our tips and tricks for tackling your auditor’s translation-related questions. We even include a pre-audit checklist. Reduce your audit stress: Download the brief!